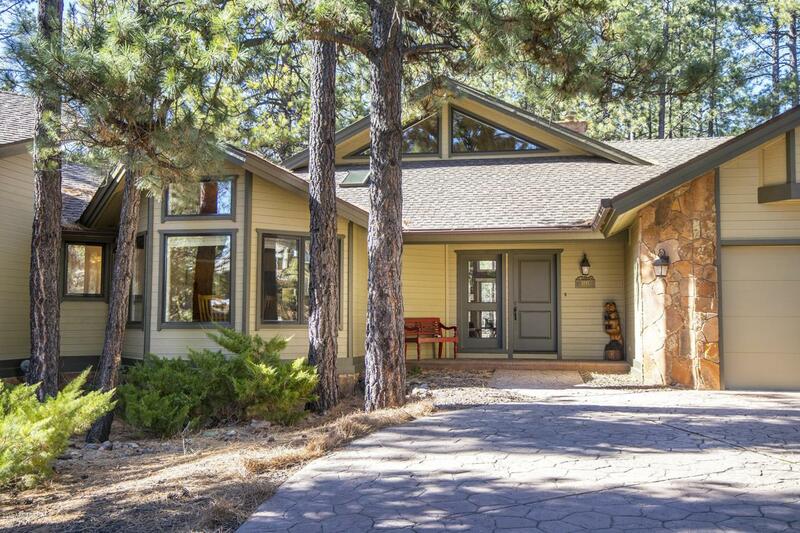 You will love this updated SINGLE level home with amazing views of #11 of the famed Canyon Course at Forest Highlands. The open concept floor plan with dual Master suites offers everyone room and privacy. Relax and enjoy the both the open and covered patios looking into the forest and golf course. Or warm up by the beautiful natural stone gas fireplace. Updated with tasteful colors and upgrades everywhere, this one truly shows pride of ownership and is move in ready!